Radiologic science is a growing field across the country, and the number of radiologic science jobs in New Mexico is expected to grow by 12 percent by the year 2026. Jobs in this field also tend to pay well in New Mexico, with an average state salary among radiologic technology professionals that is above the national average for these careers. With these positive figures in mind, current and aspiring radiologic technologists should keep New Mexico in mind when looking for education and employment. The current average salary for radiologic technology openings in New Mexico is $57,390 per year. This is around the average nationwide salary in this field of $60,320 per year. The average cost of living index for New Mexico is slightly below the US average of 100, which means that a radiologic technologist salary will go farther than it would in more expensive states. In New Mexico, highly trained specialties such as ultrasound technology tend to be the best paying positions. More information on Rad Tech salaries in New Mexico. The state of New Mexico requires all radiologist assistants, radiologic technologists, nuclear medicine technicians, radiation therapists, and fusion imaging technicians to pass the state exam or the American Registry of Radiologic Technologists (ARRT) exam. Radiologic science professionals who have passed a state exam outside New Mexico may practice in New Mexico if the original state has the same requirements for licensure. Limited license X-ray technicians must pass the ARRT limited scope exam or complete a state-approved certification course. In addition, all radiologic science professionals must fulfill a minimum of 20 hours of continuing education credits ever two years in order to remain licensed. University of New Mexico: The largest university in New Mexico also has one of the best programs in the state for radiologic science. Currently, the school offers two Bachelor of Science (BS) programs as well as two certificate programs. The two degree programs are a BS of Radiologic Sciences with concentration in Nuclear Medicine, and a BS of Radiologic Sciences with a concentration in Radiography. The two certificate programs train students in Nuclear Medicine Imaging and Advanced Imaging. Doña Ana Community College: Doña Ana Community College (DACC) is an affiliate campus of New Mexico State University. This school offers a two-year Associate of Science (AS) degree in Radiologic Technology. Students in this program will receive hands-on training in a variety of clinical locations in the region. Students will be prepared to take the ARRT exam, and DACC has an active student radiologic technology club that helps to foster pre-professional development. Central New Mexico Community College: Central New Mexico Community College is located in the lovely city of Albuquerque and has a five-term (approximately two-year) Associate of Science in Radiologic Technology program. A community college is an affordable way to earn a degree in this well-paying field. Pima Medical Institute: The Pima Medical Institute is a medical career college, with campuses around the western United States. The Pima program in radiologic technology is available through the campus in Albuquerque. Students in this program can be confident of receiving a curriculum that has been in place for many years and meets standards across different states. The school also offers a Bachelor of Science in Radiologic Sciences as an online degree-completion program. Major hospitals and medical centers are the largest single employers of radiologic science professionals. The state of New Mexico has two hospitals – both in the Albuquerque area – that have been nationally ranked by the US News & World Report. The New Mexico Society of Radiologic Technologists is the state affiliate of the American Society of Radiologic Technologists (ASRT). This organization puts on annual conferences for its members, and helps radiologic science professionals stay abreast of the latest legislation, education requirements, and other factors that may affect their professional life. 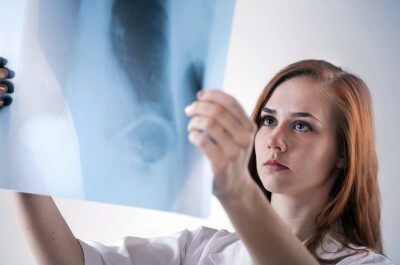 Want to find out why becoming a Radiology Technologist now makes more sense than ever?